In the first match between Indonesia’s PSM Makassar and Kaya FC of Philippines, both sides were searching for a win to begin the month of April. A precious win would guarantee top spot, as both came into the match with four points from their opening two games. Both sides won in their previous game, so coaches Darije Kalezic and Noel Surigao didn’t change their winning formula in front of 723 spectators who filled a little spot in Pakansari stadium. PSM started a 4-3-3 playing with the trio of M. Rahmat, Eero Markkanen and Zulham Zamrun upfront. Meanwhile, Kaya lined up in a 4-4-2 with duo Jordan Mintah and Darryl Roberts supported by Azkals’ star, Jovin Bedic on the left side and Connor Tacagni on the right side. The afternoon rain made for a slick and slippery pitch, complementing both teams’ intent to play expansive and attacking football. The host created so many chances and controlled the majority of possession, but it was Kaya FC who got the first major chance to take the lead after just 11 minutes. Jordan Mintah’s low shot from the right side of PSM’s defense was blocked successfully by Rivky Mokodompit. The hosts would get their golden chance after 39 minutes, as Zulham Zamrun broke past Kaya’s defense after receiving a brilliant through pass from William Pluim. Unfortunately, the linesman caught him offside before he could get the ball through Louie Casas’ net. On the 54th minute, Eero Markkanen was fouled by Camelo Tacusalme in the penalty box, and the Finnish international striker successfully finished the job to put his side in front. PSM got a warning in the 68th minutes when Marwin Angeles sent a through pass to Connor Tacagni, who blasted the ball through Mokodompit’s net. This time, the referee would come to PSM’s aid to deny the goal for the visitors, thanks to the offside flag. However, momentum was now with the visitors, as substitute Yannick Tuason forced Mokodompit to make an impressive save in the 82nd minute. 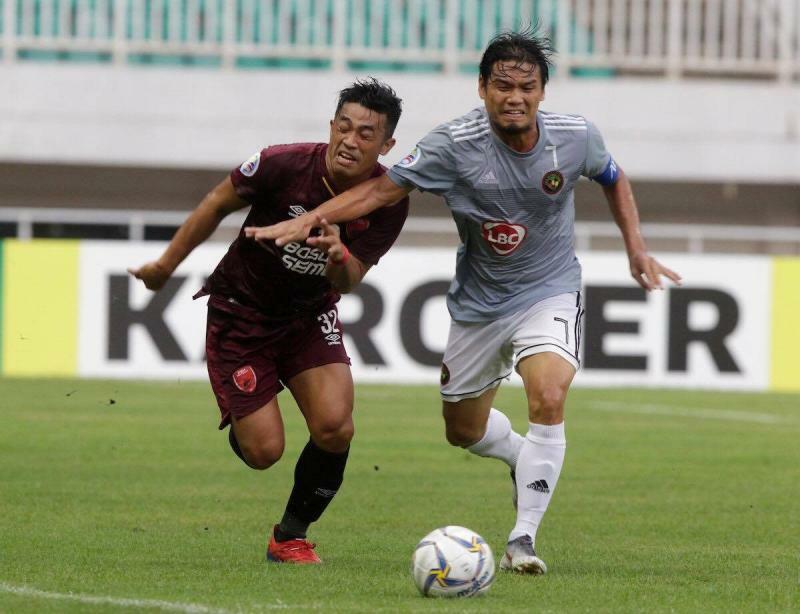 Eventually, the Filipino side made the pressure count as Jovin Bedic’s free kick managed to fool the PSM’s defense by sending a tricky pass to Mawin Angeles inside the box, who struck to deny the hosts’ victory right before the full-time whistle blown. What an April Fools for PSM, who now sit level on points with Kaya FC atop Group H.